Beautiful 3BD/2BA 1500 sq.ft. 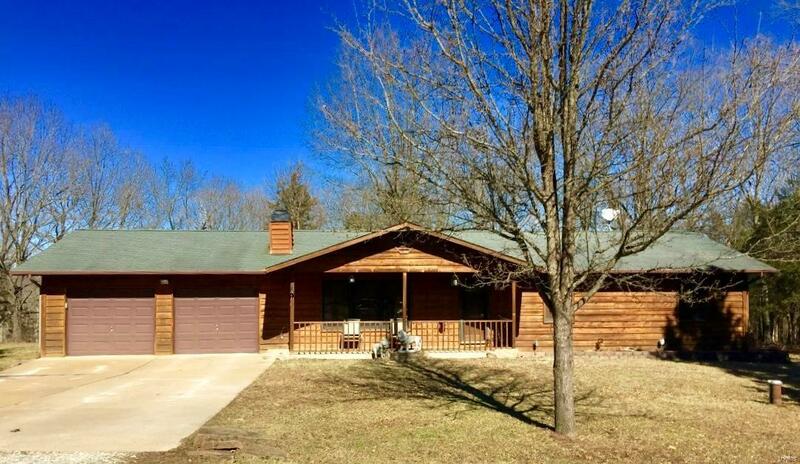 ranch home situated on 3+/- acres located on a cul-de-sac lot in a private peaceful setting just minutes from the Hwy 30 corridor. This home has many updates throughout including newer paint and carpeting, and kitchen and bathroom updates too! Spacious kitchen offers raised panel cabinetry complimented with a tile backsplash, stainless steel appliances, large pantry, and tile flooring with an abundance of natural light. A full brick wood-burning fireplace in the family room makes a wonderful focal point, main floor laundry and large master bedroom suite with private full bathroom and walk in closet. The living room walks out to a back deck and patio area which backs to woods with plenty of opportunities to watch the wildlife roam about! Oversized garage has work bench/hobby area with a 220amp hook up. Brand new HVAC system installed in 2017. Don't miss out on this one, schedule your showing TODAY!! Listing provided courtesy of Brickstone Realty. Listing information © 2019 Mid America Regional Information Systems, Inc.